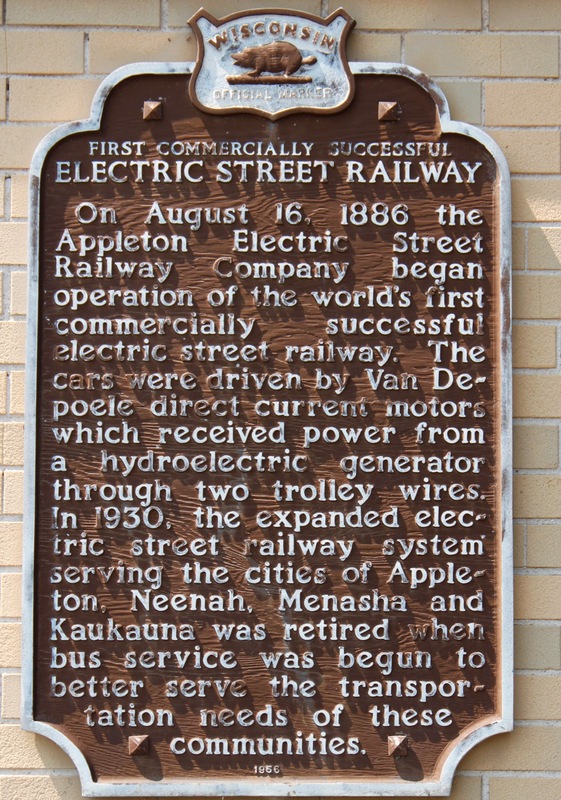 On August 16, 1886 the Appleton Electric Street Railway Company began operation of the world’s first commercially successful electric street railway. The cars were driven by Van Depoele direct current motors which received power from a hydroelectric generator through two trolley wires. In 1930, the expanded electric street railway system serving the cities of Appleton, Neenah, Menasha and Kaukauna was retired when bus service was begun to better serve the transportation needs of these communities. The marker is at the Edison Center, affixed to the front of a white brick building on southbound South Olde Oneida Street, just south of its intersection with West Edison Avenue / Eagle Flats Parkway, at 807 South Olde Oneida Street, Appleton, Wisconsin 54915. NOTE: I had a difficult time locating this marker using the street address. Use the GPS coordinates and check the Google Map before heading out. 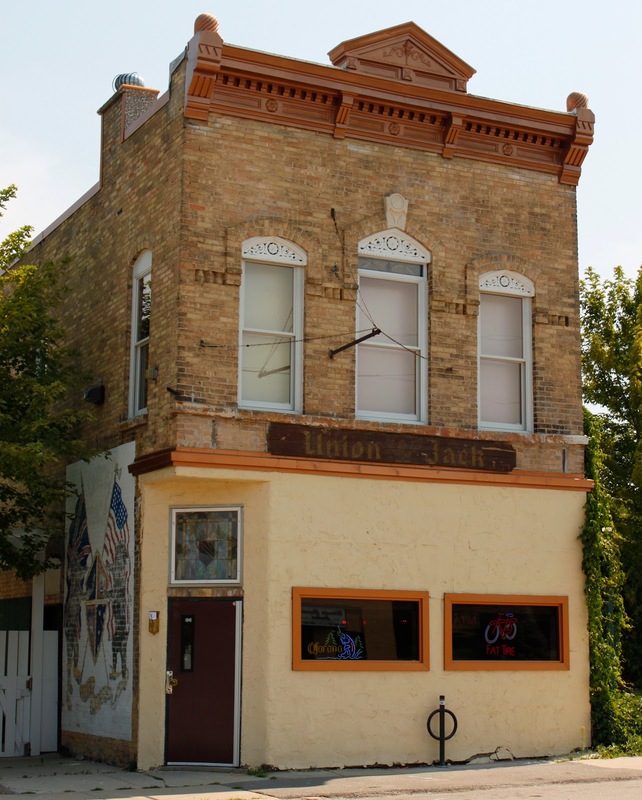 NOTE: The marker is directly across from The Union Jack Tavern (a very cool historical building in its own right), 812 South Olde Oneida Street, Appleton, WI 54915. Looking north on South Olde Oneida Street from marker location. The marker is directly across from The Union Jack Tavern.